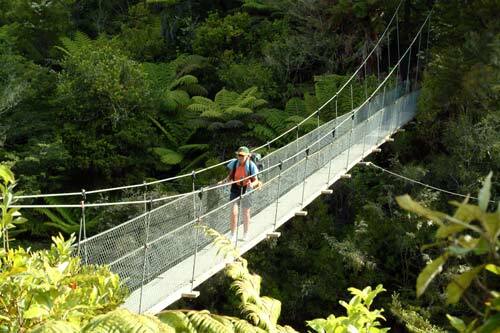 A tramper crosses a swing bridge on the Abel Tasman Coast Track, one of New Zealand’s Great Walks. The Abel Tasman National Park, near Nelson, is the country’s smallest national park – but one of the most visited. It is popular with both New Zealanders and overseas tourists.